What would you do if faced with a situation where you faced being exploded if you didn't showcase your friend being held hostage? Well that is exactly what happens to Julia Roberts' character Patty Fenn and she tries to help out Lee Gates (George Clooney) as much as possible whilst in such a delicate situation. Just from that, you wouldn't expect the film to be filled with quite a lot of comedy. 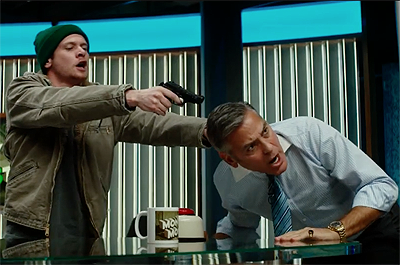 Lee Gates (George Clooney) is the host of 'Money Monster', a show which delves into the stock market. When a company IBIS stock plummets, it costs many people thousands of dollars. In an extreme turn of events, Kyle Budwell (Jack O'Connell) holds Gates hostage on a live episode of his own show being broadcast all over the world. Gates with the help of his director (Julia Roberts) will try to defuse the situation and get answers for Budwell to why he lost his money as well as trying to keep his life intact. 'Money Monster' most definitely is quite odd. The film combines two different genres and it is two that I feel wouldn't really go hand in hand with each other. The concept of the film works fantastically for a thriller and does well at times to create some tense moments. However due to the film having quite a lot of comedy within it, it does lose some of its tension and makes things not seem nearly as severe as they are. It does hurt the film in a way as it does take away from the tension to make it more enjoyable for the audience in form of comedy. I'm not entirely sure if this was the right step to go with when creating a film with a plot like this. In saying that, the comedy does do its main intention which is obviously to make the audience laugh. Most of the gags and jokes do work throughout the film but I just don't think it was suited for this particular film. The film needed a very charismatic actor to be able to pull off the character of Lee Gates. He had to have the presence to grab the attention of anyone when talking. Gates also had to be able to have the ability to pull off the entertaining and slightly more ridiculous pieces of his act to create fun moments. Thankfully for this movie, they were able to get George Clooney who is a pretty perfect casting for this film. 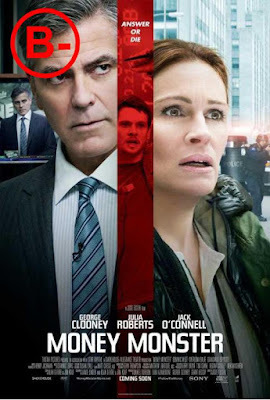 Clooney's charisma works fantastically well throughout the stages of the film where at first he is calm and doing his normal routine on screen. He then does very well when confronted with Budwell as his life is threatened. A good performance which does a great job at combining the odd job couple of genres. Julia Roberts is also very good in this film as the brave director of the show. Like Gates, her character Patty Fenn tries whatever she can to defuse the situation from her booth. She shows great courage as she looks out for Lee and buys him as much time as possible and helping him out in every way she possibly can. She soon finds herself directing a life threatening situation where she has to keep Gates motivated and with information that could save his life. Although mainly stuck in a booth and only talking to the main characters via headsets, Roberts does not fail to impress with her performance. Jack O'Connell does fairly well as well as Kyle who clearly seems unhinged. Parts with his character are pretty predictable such as his money and family situations but they do create motives that may push somebody over the edge. He brings an intensity to the film that creates a whole load of tension within the room with his character seeming like he could snap at any moment. The comedy within the film also damaged the ending of the film. The ending just falls very flat and we don't really see a big payoff. The emphasis is mainly on the person who caused the stock to fall to be turned into an internet meme. Now for a hostage and serious financial situation, the comedy again feels out of place. In a straight up comedy, it would work incredibly well. There is quite a bit of realism within the film I feel that came from the situation and it surrounds how people reacted to it. In bars around the city, people are making jokes of the situation or not even paying attention at all. Sadly, I saw this to be very real to how some people react to situations like this although it really isn't the nicest way to act. For evidence of this you can check pretty much any social media network out there and see masses of people making jokes out of serious situations. I also feel that the stupidity of people to get close to a situation like this is realistic as well. I won't go too far into as it may spoil parts of the film, much like the trailer did. A very entertaining film with some good, fun performances. The combination of the genres don't really belong together but the film still does well despite this. I would recommend 'Money Monster' as well, it is definitely worth seeing! If you are interested in seeing this film, do not watch the trailer, it does spoil a part of the film which did effect my viewing. 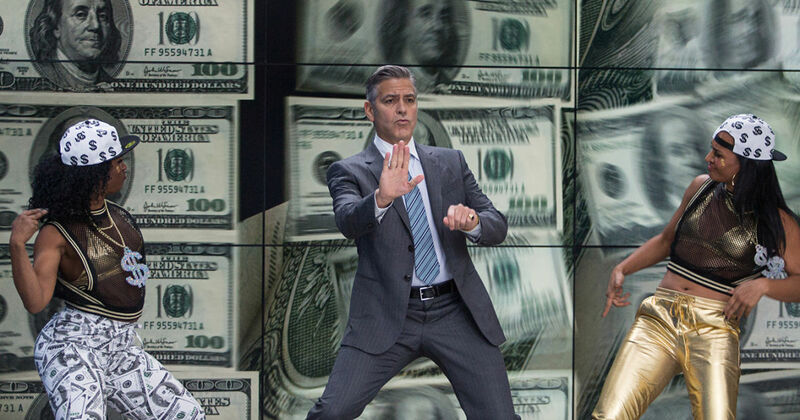 So have you seen 'Money Monster'? If so what did you think of it? I hope this review was useful and maybe convinced you to check this film out! Once again, thank you for reading my review, it is much appreciated!